Introducing SNAP by Busy Boys Roofing Ltd. 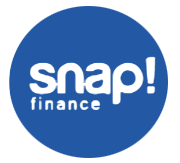 SNAP is the fast, flexible, easy way to pay for your roof without having to wait. Its the consumer-friendly financial program endorsed by your local dealer. There's no need to put off a more Efficient, Cost-Effective home roofing system. We make it simple start saving money now - CLICK below to get started!